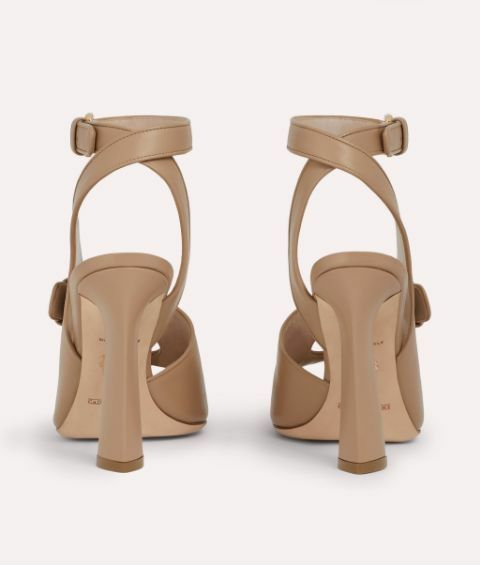 There's something agelessly sophisticated about caramel-toned, butter-soft leather and the Juju sandals take it in a contemporary direction. Sky-high, sculptural heels and a clean-lined, ankle strap design exudes modern city elegance while Paula Cademartori's inimitable metal buckle design adds dramatic edge. These cool-girl peep toes work with sleek tailored looks or flowing dresses.